Whether you’re a student on a budget or a movie buff channel surfing for an ‘immersive’ entertainment experience, Bauhn has a few televisions to choose from. These are exclusively sold through ALDI stores and tend to be seasonal items, meaning that once they’re all sold out, you’ll have to wait a few months for them to return. ALDI has earned a glowing reputation for its seasonal Special Buys, including some major household appliances such as clothes dryers, fridges and air conditioners. Aussies love a bargain, and with ALDI’s appliances typically costing a bit less than the market average, shoppers are often found queuing outside stores ahead of them going on sale. Are Bauhn TVs from ALDI worth getting out of bed early for? Let’s see what’s on offer. For those who believe bigger is always better when it comes to entertainment, the Bauhn 75″ Ultra High Definition LED LCD TV – sold at ALDI – may be an ideal option. The ‘ATV75UHG-0168’ model comes with features such as Ultra High Definition and HDMI connectivity, which are claimed to provide ‘superior sound quality. It also includes the PVR function, that allows you to record and re-watch your favourite show. A size down, this 65” 4K Ultra HD Smart TV with HDR retails for $799. The 4K Ultra HD panel is stated to incorporate High Dynamic Range (HDR) which enhances contrasts, meaning whites get brighter and darks get darker. Netflix and YouTube come pre-installed on the remote for quick and easy access. It features three HDMI ports and two USB ports along with one digital audio and one earphone port. In addition, it’s equipped with ARC capability and can record live TV. If you’re looking for a 4K TV on a budget, look no further than this 60″ Ultra HD 4K unit, retailing for $599. Expect features such as USB media playback and PVR functionality. It’s also equipped with a built-in HD tuner, allowing you to watch shows and movies in high definition without a Set-Top box, and an Audio Return Channel (ARC), which sends TV sound to an ARC-compatible AV receiver without needing extra cables. You’ll also find a number of different ports from a headphone output to four HDMI ports. 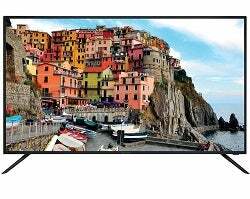 Another 4K TV on a budget, is this slightly smaller 50″ 4k Ultra HD TV, retailing for $399. Specs include 3840 x 2160 resolution, plus a built-in HD tuner to watch shows and movies without a Set-Top box, similar to the model above. It features HDMI connectivity, PVR and USB media playback. You’ll also find plenty of other ports. It comes with an easy remote to flick between channels with an Audio Return Channel (ARC) to send TV sound to an ARC-compatible AV receiver without any additional cables. This TV can be wall mounted but you’ll need to buy a wall mounting kit separately. It comes with a one year warranty for peace of mind. If space is a consideration, or you are looking at upgrading the TV in the bedroom, the 45” Full HD TV might be more up your alley. This unit features a built-in HD tuner, USB port and ARC audio capability. It also boasts a PVR Recorder, so you won’t have to worry about missing your favourite shows. If you’re thinking to mount this unit on your wall or another one of its TVs, ALDI also offers a Low Profile Bracket ($39.99), which holds up to 65kgs and is good for 42”-80” TVs, according to the brand. While DVDs are becoming less and less common with streaming services dominating the space, there are still movies you might have on disk that you want to chuck on for the kids, making this 40″ TV from ALDI one to consider. It comes with a built-in DVD player, plus HDMI connectivity and USB media playback. It can also record live TV and is equipped with ARC capability, similar to the model above. It comes with a 12-month warranty, plus a 60-day satisfaction guarantee returns policy for peace of mind. 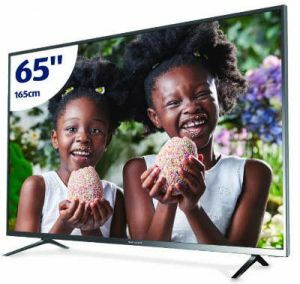 If you’re channel surfing for a new television on a tight budget, the 40″ Full High Definition LED LCD TV from ALDI stores is a much cheaper alternative to the model above, although you are of course sacrificing on size. The ‘ATV40FHD-0618’ model is said to feature Full HD 1080p and allows for audio video connection with PC Input. It also shares similar functions as the brand’s more expensive products. Some of these include PVR Record and a built-in HD tuner. Should I put ALDI’s TV sale in my diary? Whether you’re shopping for milk and eggs, or snapping up seasonal ski gear, it’s hard to resist the selection of promotional products available at ALDI stores. But does the reality match the hype? 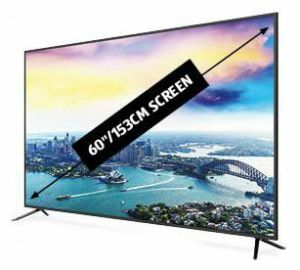 If you love home entertainment, Bauhn delivers one of the cheapest, biggest TVs you’re likely to find in Australia. 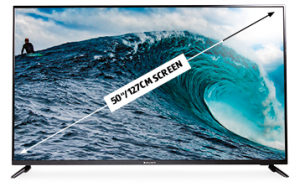 At 75”, it’s a huge TV with a relatively modest price tag – easily half that of many comparable brands. But while cheap, it does mean you could walk into an ALDI store expecting to spend $10 on the basics, but end up splashing out more than $1,500. 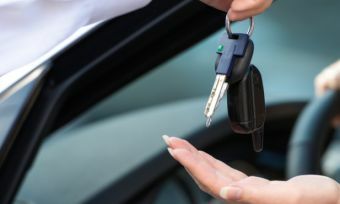 As with any sales items, make sure you actually need what you’re buying, and you’re not just being swayed by the red sales signs. 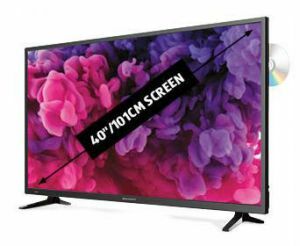 The Bauhn 40″ Full High Definition LED LCD TV is said to provide full high definition quality at 1080p and shares a range of functions similarly featured with the brand’s pricier TVs. 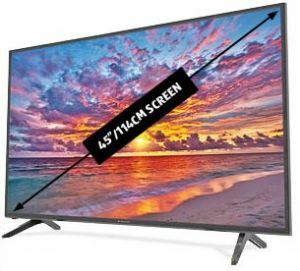 The ability to connect your PC also makes the ‘ATV40FHD-0618’ an ideal television for people who tend to stream on their laptop. 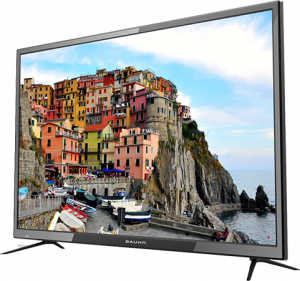 But if you’re looking for bigger eye-candy, the Bauhn 75″ Ultra High Definition LED LCD TV is boasted to show ‘extreme detail’ with its Ultra High-Definition function. If you have a busy schedule and can’t find time to watch your favourite program, many of the brand’s televisions come with the PVR function which allows you to record a show and catch up when it suits you. And for people who love streaming devices like Netflix and Stan, the televisions contain HDMI and VGA ports to link your laptop to the TV. You can similarly use the USB media playback function to enjoy video, picture and music already stored on a USB. Finding the best television for your needs and budget shouldn’t be a drama. Compare brands with our customer satisfaction ratings via the link below. What do customers think about ALDI TVs? In 2018, Australian customers gave ALDI 4 out of 5 stars for Overall Customer Satisfaction for its televisions.